The Jewish Community Center of Harrison Early Childhood Center offers programs for ages 2-5. The warm and nurturing teachers, bright, inviting classrooms, full indoor gym and outdoor playground all provide opportunities for the full range of early learning through a developmentally appropriate curriculum. A love of Jewish learning grows from the celebration of holidays, culture, stories and songs. Multiple options for morning programs and afternoon enrichment are available. The JCCH is also offering a young 5’s “gap year” for September 2011. For more info please contact the Director, Nancy Isaacs at 835-2850 or nancyi@jcch.org. Visit www.jcch.org. The Westchester Jewish Center Nursery School offers a range of programs for young children. The school provides a developmentally appropriate program that supports children’s physical, social, emotional, and cognitive growth through varied experiences and activities. Through a fully integrated curriculum, children receive a solid Jewish foundation including: holiday celebrations, Shabbat observance and frequent Synagogue visits. They offer a flexible schedule to allow families to participate in programs one, two, three or five days a week. In addition there are a number of options for after-school enrichment programming as well as a summer camp experience. WJC is now accepting registration for Mommy and Me, Pre-K classes and Camp 2009. Call 914-698-2767 to schedule a tour and to receive an application. www.wjcenter.org. When it comes to your kids, nothing less than the highest standards will do. Our daycare located in Carmel, NY provides a safe environment for your child to explore his or her full potential. If you’re looking for a daycare that meets these stringent demands, look no further! We promote physical activities in large open areas and a variety of educational games, arts, music and a library for your child. Our goal is to promote every child’s development individually using an appropriate mix of academic and recreational activities. 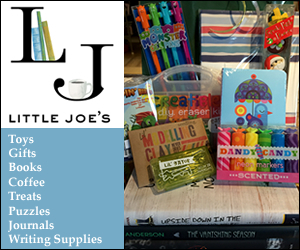 Three Little Bears Daycare, 14 Mamanasco Rd., Carmel NY 10512. 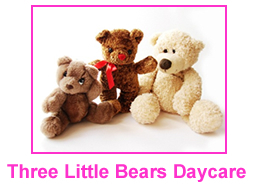 Call us at 845-222-0266 or visit us on the web at www.threelittlebearsdaycare.com.